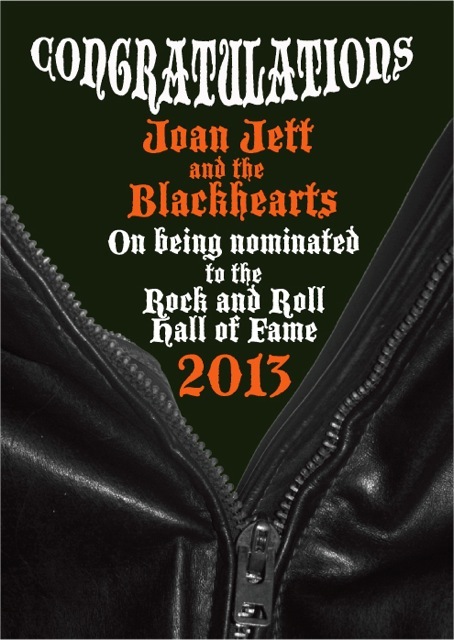 2013 Rock and Roll Hall of Fame – Joan Jett and the Blackhearts nominated AGAIN! 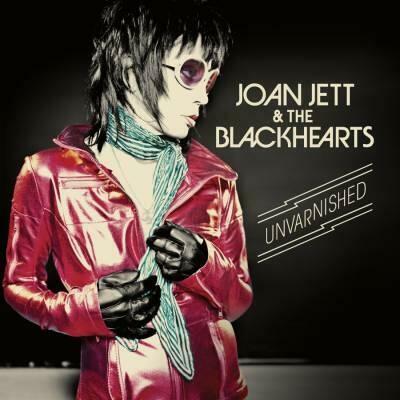 The nominees for the 2013 Rock and Roll Hall of Fame have been announced, and Joan Jett and The Blackhearts have been included for the second straight year! I’m proud of the band, and I’m grateful that they get another chance so soon! Watch a video of the 2013 nominees on YouTube. Check out Joan’s “meet the nominee” page on rollingstone.com HERE. Read about the other nominees HERE. The fans get an OFFICIAL vote! Here’s how! For the first time, the public gets to vote alongside the artists, historians and music industry insiders of the Rock Hall voting body. From now until December 3rd, fans can vote on RollingStone.com for the nominees they’d like to see inducted. The top five acts will comprise a “fan’s ballot” that will count as one of the more than 600 ballots that determine the Class of 2013. The results will be announced in mid-December. The official fan poll is hosted at the following sites — vote on both of them and vote as often as they’ll let you! The Blackhearts are already in 4th place, but just barely. Let’s keep them in the top 5! In addition to the new Rock Hall fan ballot, we may have a second opportunity to get our voices heard. Goldmine Magazine is an official member of the Rock Hall voting body, and last year they allowed their readers to choose the artists that they submitted on their ballot. If they allow that again, we could have two official votes that count towards the final list of inductees! They haven’t put their poll up yet, but if and when they do I’ll pass it along. The induction ceremony will be April 18, 2013 at the Nokia Theater in Los Angeles, California. This will be the first time the ceremony is held somewhere other than New York or Cleveland since 1993 (according to rollingstone.com). HBO will broadcast the ceremony at a later date. In addition to the official ballots listed above, various web sites will sponsor unofficial polls for fans to participate in. I’ll compile an initial list this weekend. If you know of any sites with Rock Hall polls, let me know in the comments and I’ll post them. This entry was posted in Uncategorized and tagged Rock and Roll Hall of Fame. Bookmark the permalink. Voted for JJBH … check! Magic Joanie!! I’m very happy for her nomination… and for Deep Purple nomination, too…i’ts weird, but this reminds me of the guitar lesson scene in The Runaways’ movie… (“what do you think of Smoke on the Water? I know you know that one”)oh, my god, i’m still laughing for that scene…awesome!! It’s great.. two of my best favorite bands in nomination.. i’m out of my mind!!! !